One particular event has grown into quite a tradition at Devon year after year. The ever-anticipated Ladies Day is upon us once again on Wednesday, May 31, at the Devon Horse Show and Country Fair. Come celebrate the “Jewels of Devon,” this year’s Ladies Day theme. Registration for the extravagant hat contest will start at 9:30 a.m., and the judging will occur from 10:30-11:30 a.m. Glam up your hats with jewels and color, and become a jewel of Devon! Tickets are available online at devonhorseshow.net for $65 per ticket or at the door the day of the event for $80. Your ticket purchase will include your entry into the hat contest, live music, raffle prizes, light fare and elegant libations. The special categories for this year’s contest include: ‘Best in Show’ for the judges’ favorite; ‘Most Fascinating’ for the best fascinator topper; ‘Best Hat to Toe’ for the best ensemble considering the entire lady from hat to toe; ‘Best Hat and Purse Pairing’ for the best-looking hat and purse ensemble; ‘Best Group’ for the group who pairs the best hats and ensembles together; ‘Best Jewels of Devon’ for the best hat that meets the criteria of this year’s theme. Winners in these exclusive categories will receive an official Devon ribbon along with other splendid prizes donated by J. McLaughlin, Louella, Mr. and Mrs. Ned Owen, Dr. and Mrs. Donald J. Rosato, Cachet Salon, Macy’s and Wink. Malvern Federal Savings Bank, The Baldwin School, Palm Bay International, Springton Tennis Club, Julian Krinsky Camps and Programs and Polka Dots are the generous sponsors who help make this special occasion the superb affair that it is. 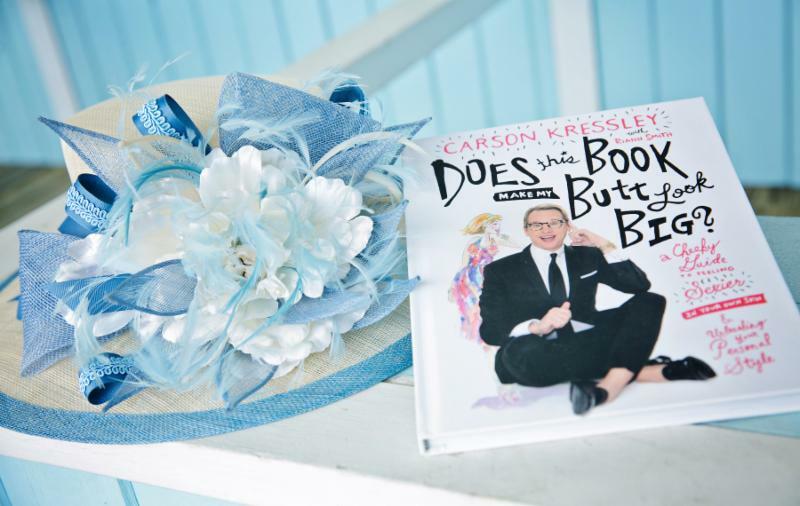 An extra little surprise will come from the celebrity judge, Carson Kressley, who will be signing his new book directly after the Ladies Day event. You can find the book at the souvenirs booth. Channel 6‘s Adam Joseph will also be returning as a celebrity judge. So what are you waiting for ladies? Pull out all the stops and let yourself sparkle from head to toe at this year’s jeweled occasion. It will be a Ladies Day not to miss!